The Federal Aviation Administration (FAA) recently announced it is undertaking efforts to urge pilots to seek help for mental health issues. The announcement came about one year after the tragic Germanwings plane crash that claimed 150 lives. Investigators believe the pilot in that crash intentionally downed the plane while experiencing a mental health crisis. If you have been injured in an airline accident, or you have lost someone you love in an airline crash, speak to a New York City airline accident lawyer today. As reported by USA Today, the FAA stopped short of changing rules created after the September 11 attacks — rules that require pilots to lock the cockpit door, which some argue prevents crew members or passengers from accessing a pilot who is showing signs of a mental disturbance. The FAA also declined to make psychological testing mandatory for pilots. 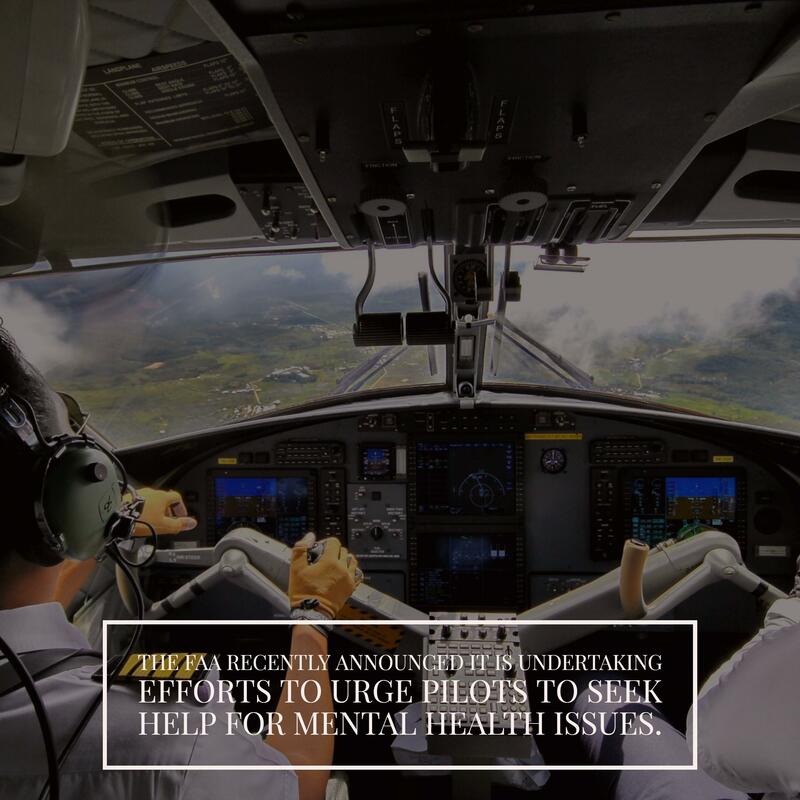 According to FAA administrator Michael Huerta, the FAA would like to see a culture in which pilots self-report when they are experiencing mental health problems. Huerta also said that aviation medical examiners will receive additional training to allow them to spot possible signs of mental stress in pilots. Under current FAA rules, pilots must undergo a medical exam once a year, and pilots age 40 and older receive a medical exam every six months. Although mental health-related crashes are rare, they attract a great deal of attention when they occur. In two other cases — a 1999 EgyptAir Flight in Massachusetts and a 1997 SilkAir Flight in Indonesia — crash investigators say there was evidence of the pilots fighting for control of the aircraft prior to the crash. If you have been injured in an airline accident, or you have lost a loved one in an airline crash, you probably have a lot of questions about your options and your legal rights. In these tragic cases, it’s important to work with a lawyer who regularly handles complex airline accident cases. In most cases, it’s important to act quickly. Don’t wait to speak to a lawyer about your case. Call New York City aviation accident lawyer, Jonathan C. Reiter, to get a free case evaluation today. You can reach us through our online contact form, or by calling 212-736-0979.